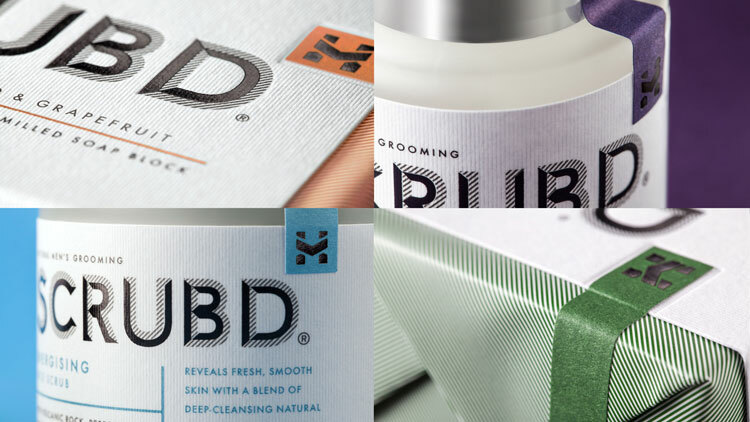 BrandOpus has created the identity and packaging for Scrubd, which aims to reflect changing attitudes towards male grooming. 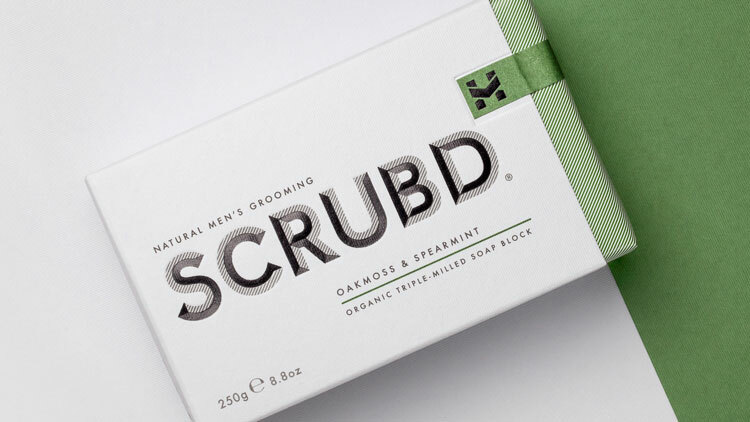 Consultancy BrandOpus has designed the visual identity and packaging for a new men’s grooming range called Scrubd. 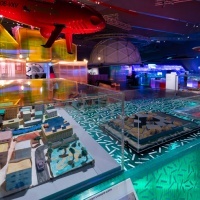 The collection is targeted at men aged 35-54, and comprises four flavoured organic soap blocks. Since its launch earlier this month, it has also expanded to include two different skincare ranges. “As the traditional definition of masculinity evolves, with it comes shifting attitudes towards male grooming,” says BrandOpus. 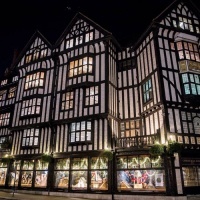 The range aims to “cater for men who take pride in their appearance” and are “looking to enhance their grooming rituals”, it adds. The identity looks to reflect the brand mission, and incorporates an all-capitals, sans-serif logotype with a diagonal line effect. The consultancy has also created an H-shaped symbol that nods to the craftsmanship of a “stonemason’s signature”. 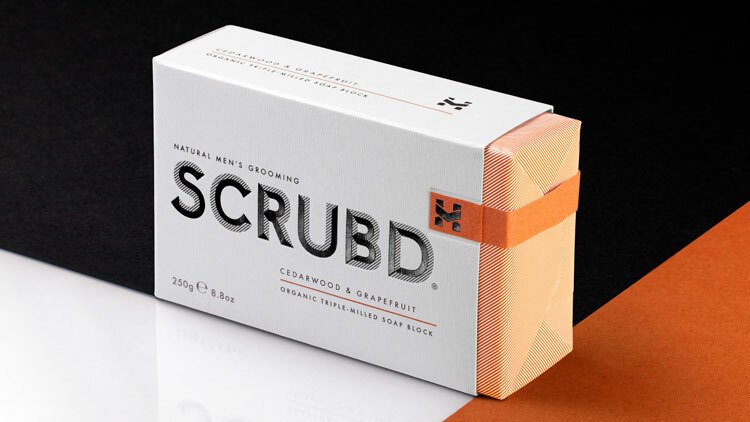 The logo has been embossed onto textured paper packaging, and is set in the brand’s main colour palette of black and white. 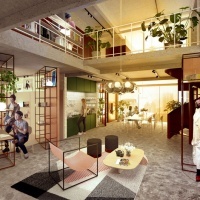 A secondary palette sees yellow, orange and blue used as accent colours for different products within the range. 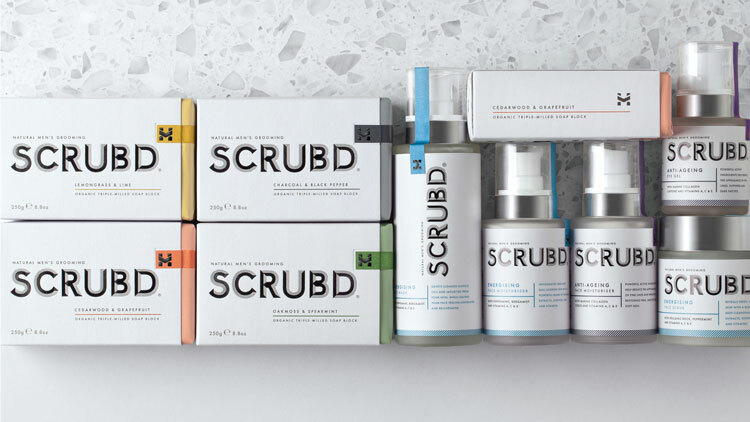 Scrubd is now available from Harvey Nichols’ stores across the UK.